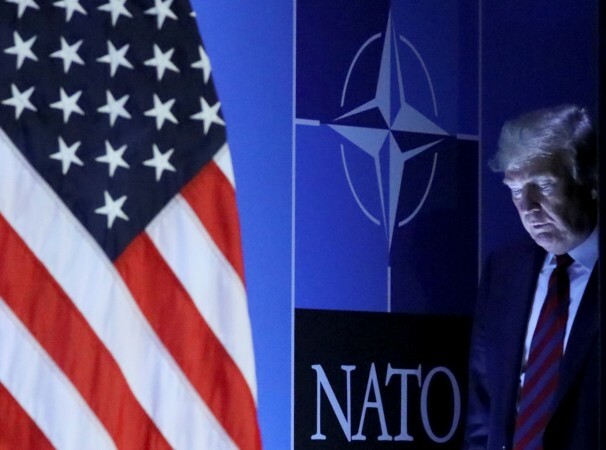 According to sources President Donald Trump said he was ready to help smaller NATO countries to buy US weapons as he pushed them to spend more on their own defense. Meanwhile when speaking after a NATO summit, at which he said nations, had agreed on new spending pledges, Trump said some less wealthy members had asked during meetings in Brussels if he could help them buy US arms equipment, but did not name the countries. Furthermore when asked about pressures on countries with weaker finances, he said, "They have many wealthy countries with them yesterday but they have some that aren't so wealthy and they did ask me if they could buy the military equipment, and could he help them out, and they will help them out a little bit, because the United States makes by far the best military equipment in the world: the best jets, the best missiles, the best guns, the best everything." Moreover Trump claimed a personal victory at the summit after telling European allies to increase spending or lose Washington's support. Further Trump did not draw a direct link between weapons sales and his efforts to persuade other NATO countries to correct shortfalls in defense spending below NATO targets, but vaunted the benefits of US made defense equipment.